Disruptor companies are changing every industry -- and your company needs to be ready to pivot. 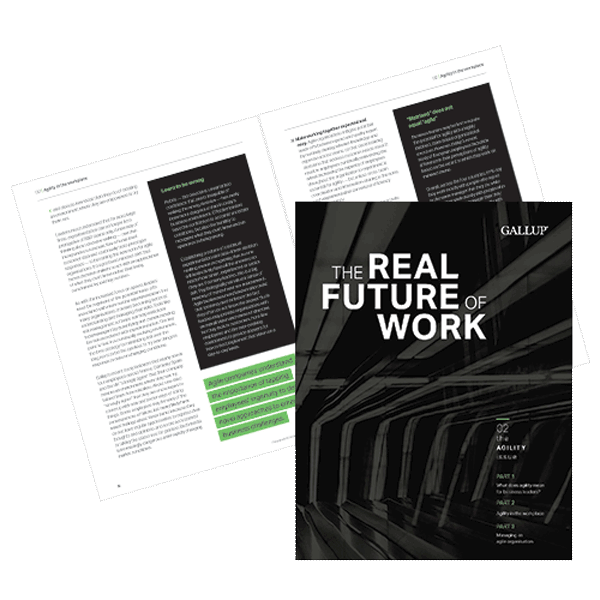 In this issue of The Real Future of Work, discover new strategies for leading with agility in four of Europe's largest economies -- the U.K., France, Spain and Germany. What does agility mean for business leaders in the U.K., France, Spain and Germany? How does working at an agile organisation affect employees? How can you manage an agile organisation? The Agility issue of The Real Future of Work answers these questions and more. To receive an email with a link to download this issue, please fill out the form below. Someone from Gallup may contact you about your interest in this topic.